CBD oil and anti-inflammatory diets are extremely popular right now, but is our current fight against chronic inflammation based on real science? Or is it just hype? Unfortunately, the inflammation struggle is real — and it’s not just something people with arthritis need to worry about. Stress, pollution and other environmental factors activate your body’s inflammation response, and your body might be battling chronic inflammation without you even realizing it. Although chronic inflammation isn’t always easy to sense or diagnose, it doesn’t make it any less dangerous. In the last few decades, scientists have linked chronic inflammation to numerous diseases and health conditions. For instance, it’s now estimated that up to 20% of cancer cases are caused by chronic inflammation. Other health conditions like Alzheimer’s disease aren’t necessarily caused by inflammation, but people suffering from Alzheimer’s have elevated inflammatory markers — and this inflammation increases the severity and speed of cognitive deterioration. To understand how chronic inflammation damages our bodies — and why so many people are turning to CBD oil to help counter this burden — we’re going to dive into the cutting-edge research about the science of inflammation. In this article, you’ll find out what chronic inflammation does to your body and what tools you have to fight it. What is inflammation? What Makes it Chronic? Inflammation is your body’s natural way of protecting itself from illnesses, infections and injuries. In response to a perceived threat, your immune system declares war on whatever doesn’t belong in your body, sometimes damaging your own tissues while trying to protect you. From your immune system’s point of view, self-damage is worth the sacrifice if it can protect the overall body by stopping the threat from spreading. In areas of your body that you can see or feel (like a thumb that’s been hit by a hammer), you’ll experience inflammation as heat, pain, redness, swelling, and/or impaired function. This is because during inflammation your body increases blood flow to the area — and immune cells move from the bloodstream into the tissue to destroy the threat and grow new cells. This process is orchestrated by inflammatory molecules. A healthy immune system knows how to sense danger and it knows exactly when and where to turn on inflammation to help protect you. A healthy immune system also knows how to sense when the fight’s over — and it produces natural anti-inflammatory compounds to coordinate the process of letting your guard down. Unfortunately, many of us receive non-stop signals — from the foods we eat, the air we breathe, and even our own bodies — telling us that our immune systems need to keep fighting. This chronic inflammation can originate from a specific region of the body — like the digestive tract of Crohn’s Disease sufferers. Or it could be spread throughout the body — like the persistent, low-grade systemic inflammation produced by fat cells in obese individuals. Appropriately-timed inflammation helps us fight infections and heal our bodies. But when we suffer from chronic inflammation, the immune system transitions from being our guardian into causing our destruction. When faced with a non-stop barrage of free radicals and other defensive molecules, our cells and overall health suffer. In response to damage, a healthy inflammatory response produces free radicals to kill damaged cells or pathogens while encouraging cells to divide and replace damaged cells. Unfortunately, when left unchecked, this can be dangerous behavior. Free radicals can harm healthy cells and cause DNA mutations (a process called oxidative stress). Combine DNA mutations with increased cell replication, and the stage for cancer is set. What you can do: The threat of oxidative stress is why free radical-fighting antioxidants are popular cancer-preventive supplements. Although appealing in theory, studies find that antioxidant supplements don’t increase our life spans and are potentially harmful to our bodies. Instead of focusing on antioxidants, fighting inflammation might be a better way to prevent oxidative damage at its source. The simplistic, outdated theory of heart disease suggested that the fats we eat are carried through the bloodstream directly to accumulate and clog our arteries. But today, atherosclerosis is actually described by scientists as a chronic inflammatory disease. It turns out that inflammatory molecules attract cholesterol-rich immune cells (macrophages) to artery tissues, and the buildup of cholesterol by these cells during chronic inflammation causes the dangerous plaque in the arteries. The link between inflammation and heart disease is so strong that a blood test for inflammation is one of the best predictors of your risk for heart attack. What you can do: Although it can increase your risk of bleeding, doctors advise people at high risk for a heart attack to take a daily aspirin. Aspirin, an anti-inflammatory medicine, works by inhibiting your body’s production of inflammatory prostaglandins (something that CBD oil also does). Prostaglandins: CBD and other cannabinoids are incredibly effective at relieving menstrual cramps, and a large reason for this appears to be that CBD inhibits COX-2, the enzyme responsible for producing inflammatory prostaglandins. Tumor necrosis factor (TNFα): Based on rodent studies, CBD’s effectiveness at protecting joints against inflammatory arthritic damage likely stems from its ability to reduce the body’s production of inflammatory tumor necrosis factor (TNFα). PPARγ: CBD can influence a wide variety of molecules by stimulating the PPARγ receptor, which tells your DNA to change which genes it expresses. CBD’s therapeutic potential for Alzheimer’s disease, multiple sclerosis and ulcerative colitis have been linked to the PPARγ receptor — which simultaneously reduces production of inflammatory molecules while increasing production of antioxidants. These and more reasons are why so many people are incorporating CBD products into their anti-inflammatory routine. 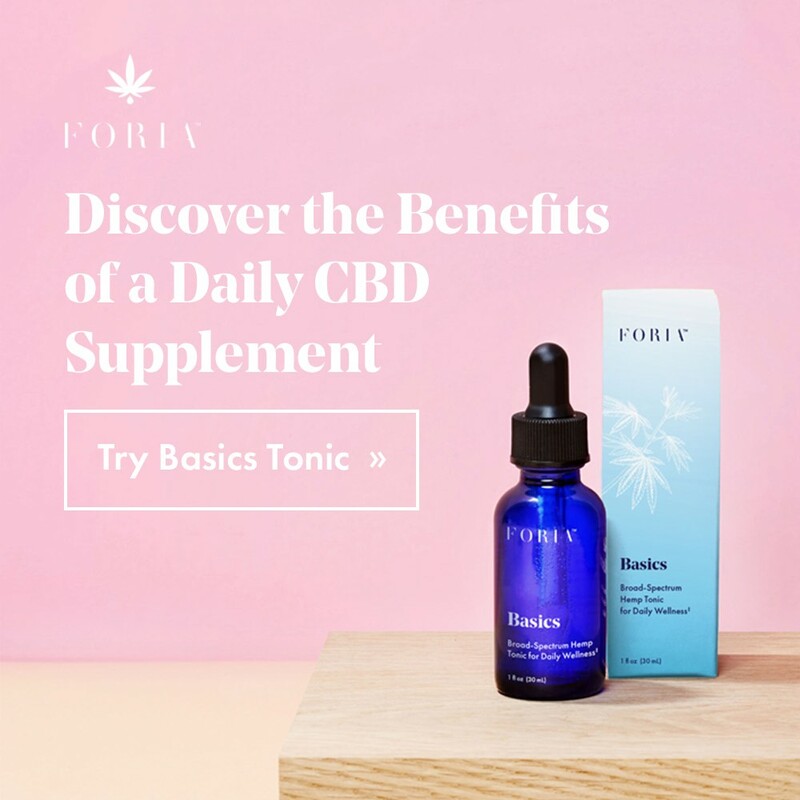 However, if you’re new to CBD products, you might want to first read our article about how to choose the right products and how much to take. One of the best ways to fight chronic inflammation is to first identify the hidden sources of inflammation in your life — because simple changes to your routine could have a major impact on your inflammation levels. We encourage you to speak with a trusted medical professional about your choice to include CBD in your anti-inflammatory routine, especially if you currently take prescription medications. Studies show that, similar to grapefruits, CBD can interfere with your body’s ability to metabolize certain drugs. And if you haven’t discussed chronic inflammation with a doctor yet, they might suggest an inexpensive C-reactive protein (CRP) test or other ways to gauge and control your inflammation.